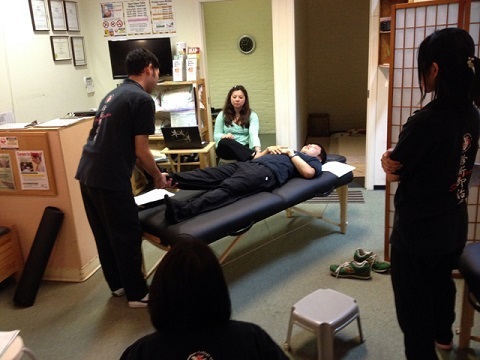 November 23rd, 2014, Continuing Professional Education Program, Jikiden-kai was held at Yaletown Clinic. 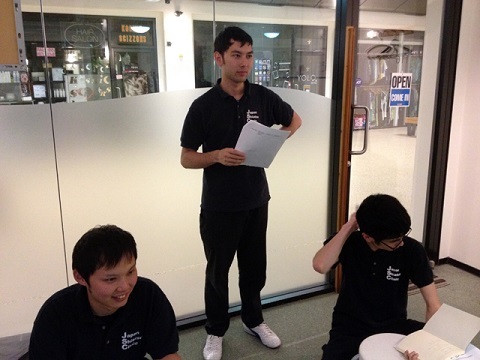 It was aimed to lead the participants to exchange opinions on the topic, and to offer opportunity for sharing the technique and practicing. 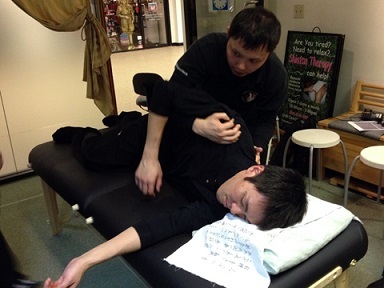 It started with a question "Do you often use Ouga position in your table Shiatsu treatment? ", and only 3 out of 10 answered Yes. That shows there is less opportunity to use Ouga position in a limited treatment time. The first question lead to the next one: "What are the advantages of Ouga position?". We shared the answers as "effective for short necked or big clients","more relaxation for clients","easier to apply pressure for small therapists with less strength","more effective treatment on lateral/posterior cervical and occipital area" and so on. 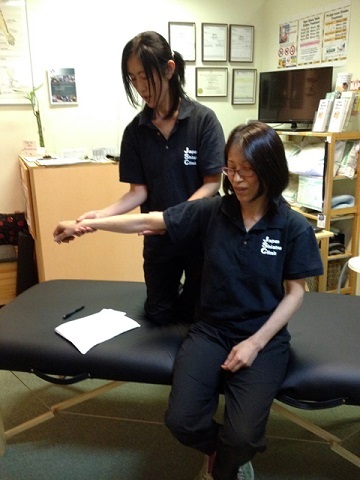 Then Makiko demonstrated head and neck treatment on Mariko in Ouga position. 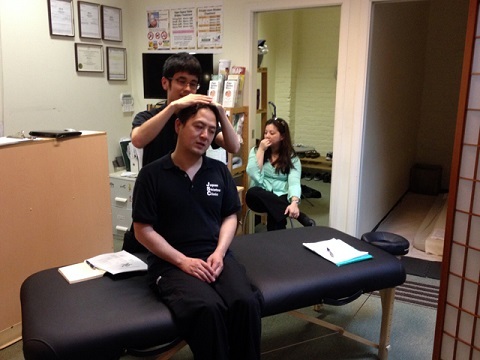 Treatment started from temporal area, then occipital to cervical, with introducing Tsubo points in each area and line. Following to Shaitsu demonstration, stretching technique was introduced and the demonstration was done by Tom who is very experienced in it. In the latter half, the participants were paired up and practiced. Searching better finger/hand positioning and stretching technique, everyone was very eagerly practicing. Some of participants' feedback; "I usually did not use Ouga position, but today I learned its effectiveness according to the symptoms and conditions" "Treatment on 5 lines instead of 3 lines in cervical area was more effective and satisfactory" " I would like to use this technique from tomorrow!" 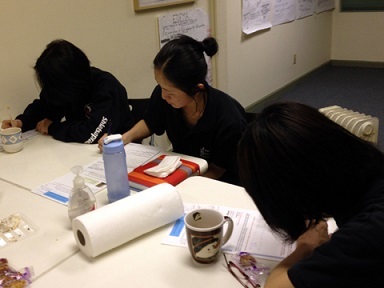 "I became more interested in learning Ouga, even on more points on other parts of the body." 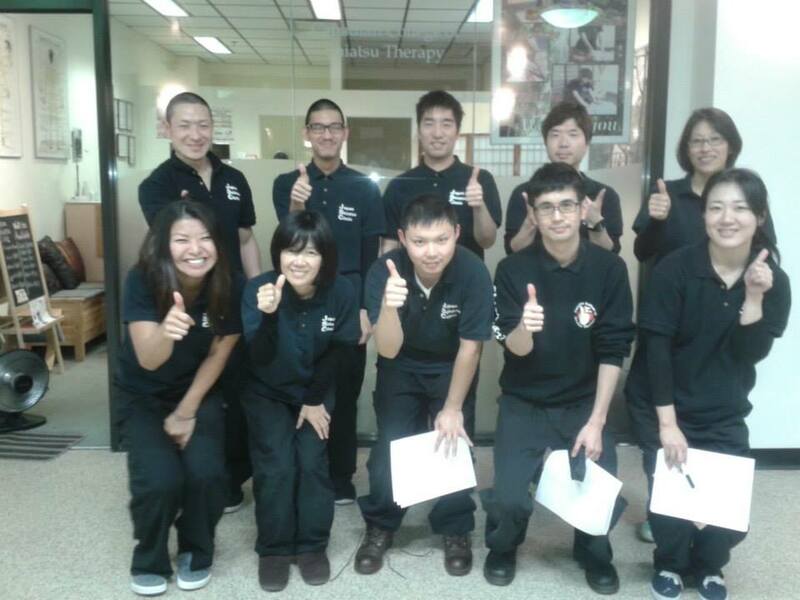 September 13th, 2014, Continuing Professional Education Program, Jikiden-kai was held at Canadian College of Shiatsu Therapy Main Campus. 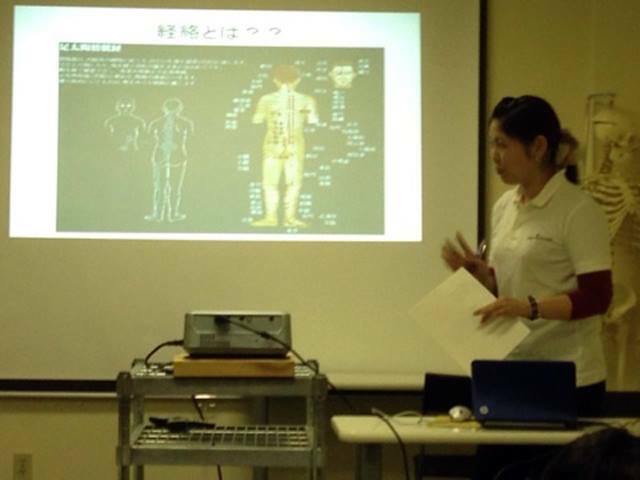 We invited Shiho Atari Sensei and Tomoko Tanaka Sensei from Japan Shiatsu College, and had lectures about “The method of treatment around using Ching muscle (muscles, tendons that follow the meridian line)” and “How to treat dysmenorrheal (painful periods)”. 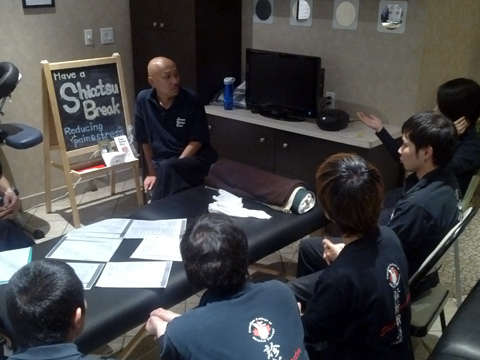 We started with “The method of treatment around using Ching muscle” by Atari Sensei. 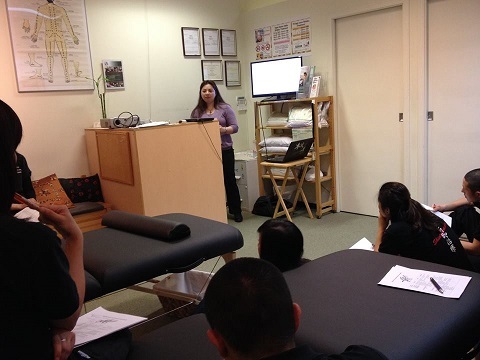 She instructed the treatment plan from different angle of meridian lines, and it was based on her own experiences. 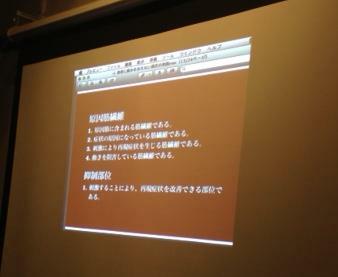 Next we had a lecture about “How to treat dysmenorrheal” by Tanaka Sensei. She explained the major regions for the treatment and the reasons why we work for, and show us how to apply the pressure there. Then we made pairs and practice each other to get the skills as much as we can. We could have a quality time with not only interesting topics but also the techniques/advices for the clients in bounded time. 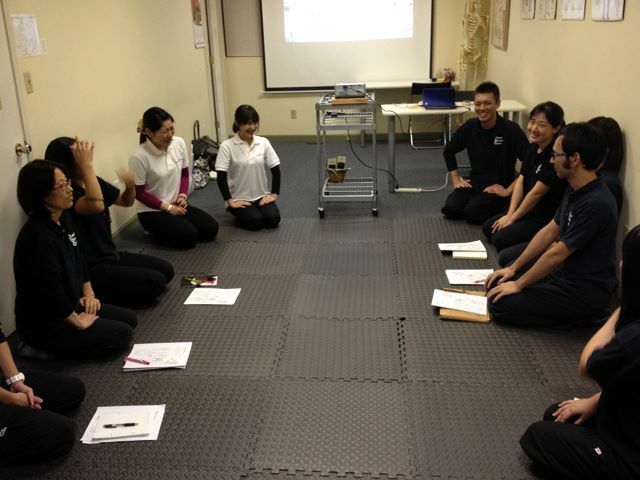 August 24th, 2014, Continuing Professional Education Program, Jikiden-kai was held at Yaletown Clinic. 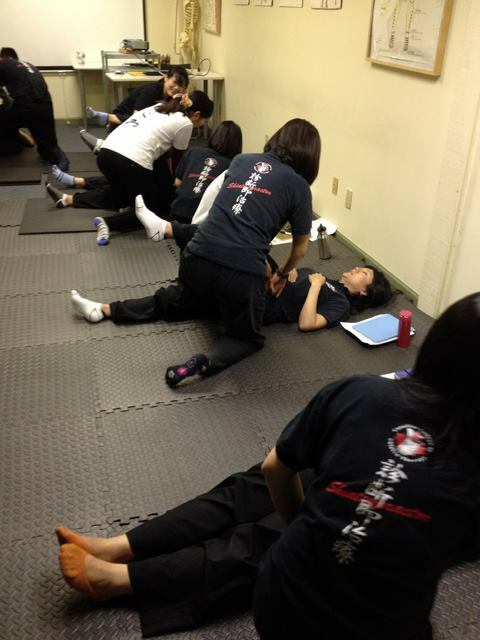 We watched the video about “Treatment for knee pain” by Shiatsumaster Ueno Sensei, and studied for the treatment on Gyoga (lie down on the back, the client can not lie down on the stomach/side). He showed how to activate the blood circulation, applying the pressure from neck or other area which associated to the knees. Then we tried to use these techniques each other. I hope it was a good opportunity to be a part of their method for making treatment plan or their way of thinking. 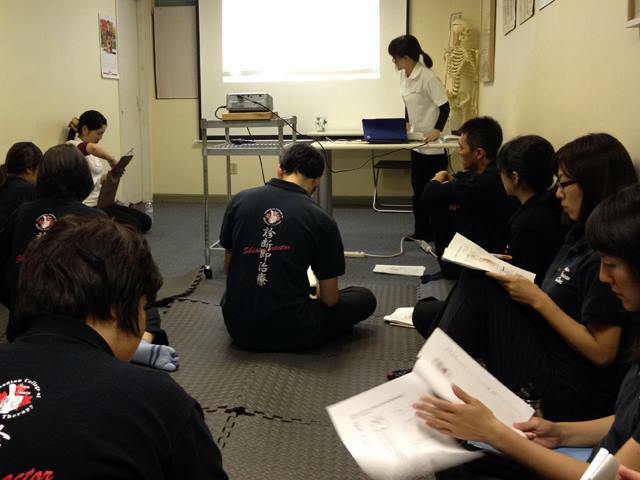 July 20th, 2014, Continuing Professional Education Program, Jikiden-kai was held at Yaletown Clinic. 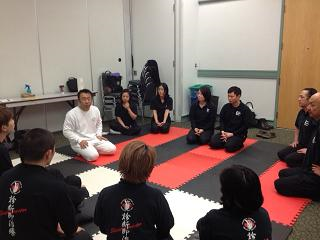 Continuation of the Jikiden-kai held on May 18, 2014, Ms. Blandina, who is currently the Kinesiology instructor at Canadian College of Shiatsu Therapy, lectured us on “Special Tests and Physical Assessment”. She demonstrated on Kaz lower body testing. We grouped into pairs and practiced on each other. 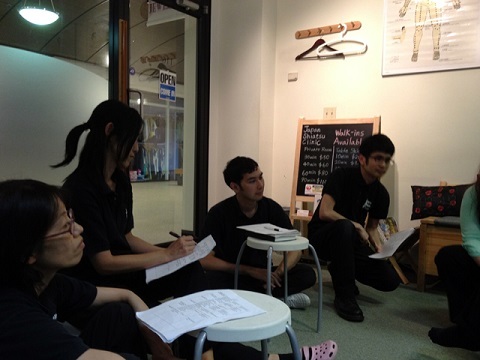 Each group presented what they had learnt, and instructed in great detail how to test on a client’s body. Many clients ask for short treatment time, as therapists, we try to gather as much information on their current condition, to be able to provide a more effective and safe treatment plan. 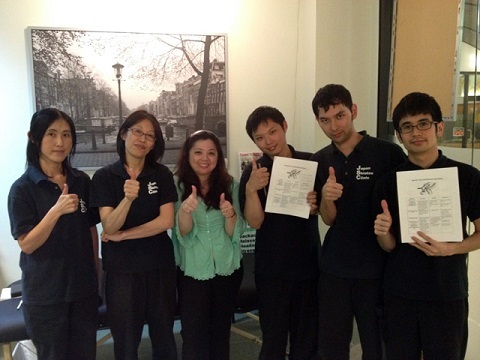 June 22nd, 2014, Continuing Professional Education Program, Jikiden-kai was held at Yaletown Clinic. We shared the treatment plan and feedback from same view point as Shiatsupractor to give the treatment to him/her who had something wrong on his/her body condition. No volunteer as “Guinea pig” this time, however, Kiyoshi had a back issue for good or bad, we worked on him and share the plan and feedback. Treatment plans were checking the posture of pelvic area and make the treatment plan to focus on holding pressure, whole body treatment especially focus on shoulder area and elector spine muscles, and so on. 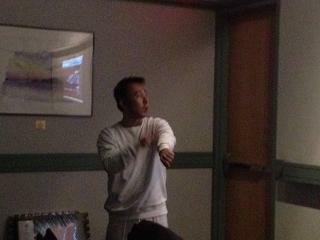 Everybody got a good feedback from Kiyoshi about different treatment plan or characteristics of pressure. We keep working on this opportunity with “guinea pig” and brush up each other. 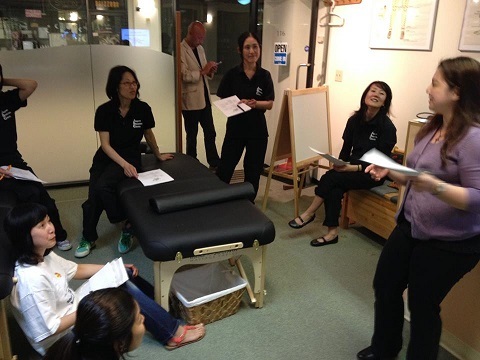 May 18th, 2014, Continuing Professional Education Program, Jikiden-kai was held at Yaletown Clinic. 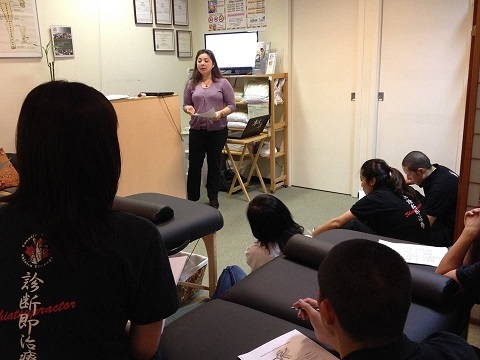 We invited Ms. Blandina Macasaet, who is the Kinesiology instructor at Canadian College of Shiatsu Therapy, and had a lecture for “Special Tests and Physical Assessment”. Before showing the special tests, she described the procedures for the test and how to ask the questions. Then she demonstrated with precautions one by one. Each and all therapists got something from the lecture even the therapists already learnt “Special Tests” before because of different environment or language, etc. If we can identify the main cause about a decrease of ROM, pain or symptoms, we can give the treatment to the clients more effectively in their treatment time. All of us brace ourselves up and make the best effort for the treatments. We have gotten them for upper body, so we hope to have the same topic but for lower body near future. How to ask the questions? Show the process with using the body. Explain the result and significance. 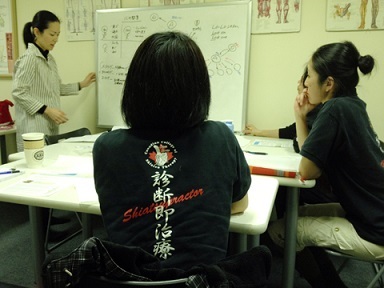 April 6th, 2014, Continuing Professional Eduation Program, Jikiden-kai was held at Yaletown Clinic. 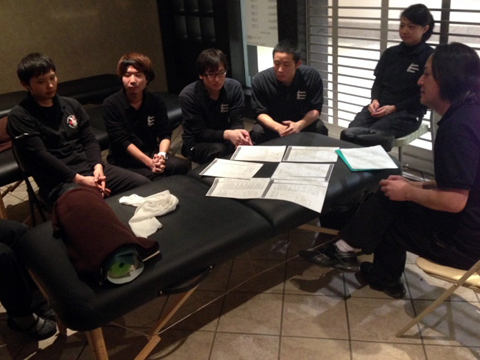 We invited Toshihiro Miyawaki Sensei from Argentina, and had a lecture about “Quick-effect of Seated Shiatsu”. He explained the detail with watching the video first, then we checked that which muscles moved when we rotate the shoulders, and we exchanged and practiced how to treat each parts. The treatment was about 10 minutes and it was covered shoulders, arms, neck and chest area, however, that was really hard to do everything in 10 minutes. It was more than enough value in 10 minutes. All of us practiced as long as the time we had because even we learned the “Seated Shiatsu”, we could also use these techniques to the floor/table Shiatsu, too. Started the practice with pairs. Little hard to work on because of difference as usual. 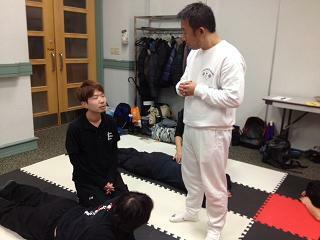 Miyawaki Sensei demonstrated the movement on Ohga. Tried to do by ourselves. 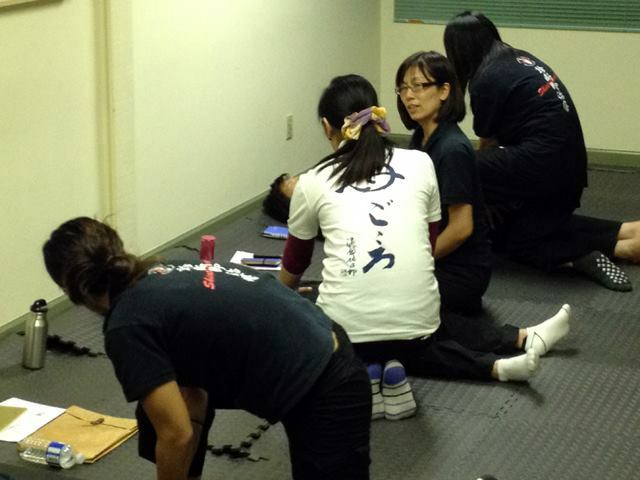 Miyawaki Sensei demonstrated on us, and Atsushi worked on image training. Took a little time to work for it. Pausing with Tokujiro Sensei's words of wisdom by Miyawaki Sensei. 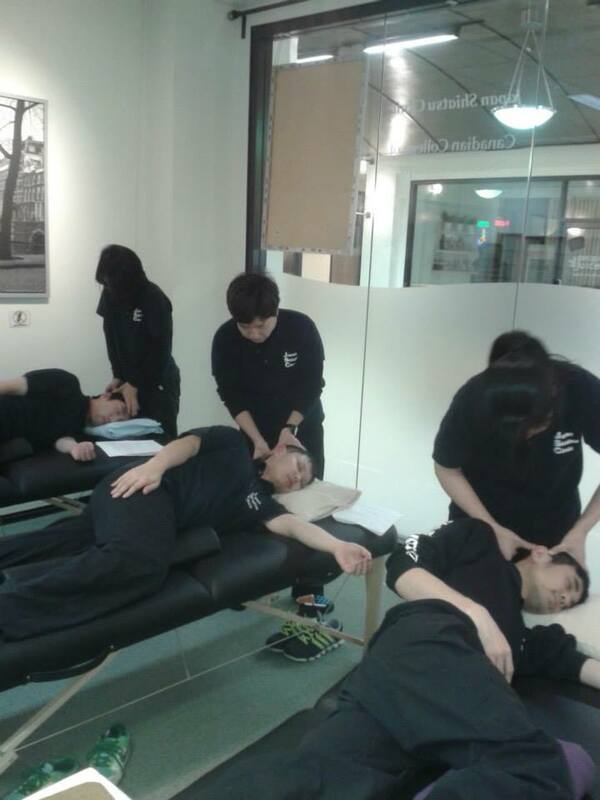 March 16th, 2014, Continuing Professional Eduation Program, Jikiden-kai was held at Canadian College of Shiatsu Therapy Main Campus. 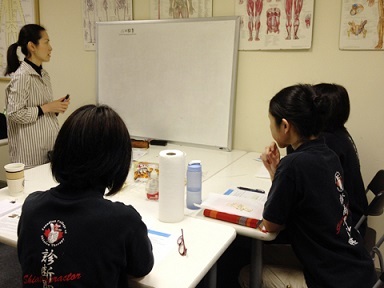 Ms. Yuko Ueda, who was a student at Canadian College of Shiatsu Therapy, came from Japan and had a lecture about “How important the education of mind is”. She explained the difference between Mentorship, Counselling and Coaching, and the judgement/action which was related by brain system. She also reported us about current situation in Nepal with many pictures because she went there last December with her teacher to have the same lecture at ILO. This was not only for human resources in business, but also for any other field we could use. They focused on taking notes or asking questions, and really enjoyed each other. Concentrated on the interesting story. Taking a note for their own life, too. 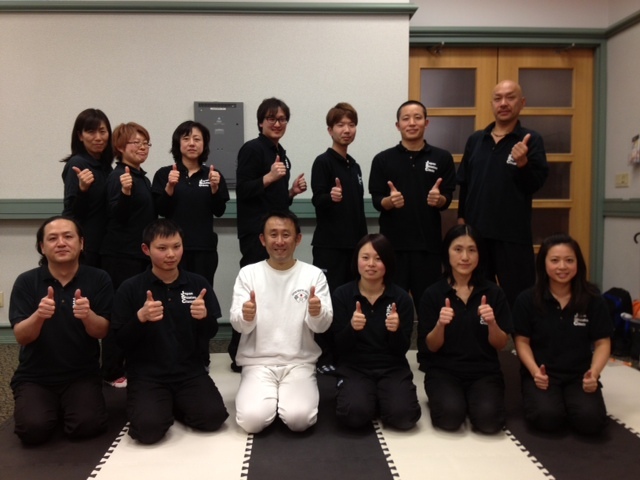 February 16th, 2014, Continuing Professional Eduation Program, Jikiden-kai was held at YWCA Hotel Royal Bank Room. We invited Hideo Asada Sensei, who is the president of the Shiatsu Society of Mexico, and had a lecture on “Practicing pain-free Shiatsu”. 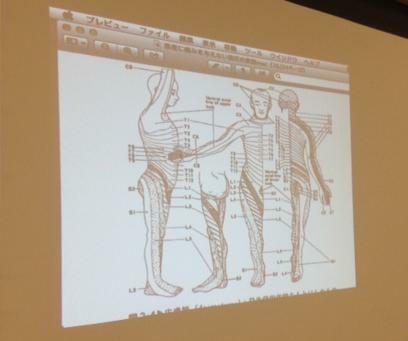 At first, he had a lecture for the different view point from Shiatsu, such as “cutaneovisceral reflexes”, “myotuning approach (similar to the gate control theory of pain) with dermatome”. 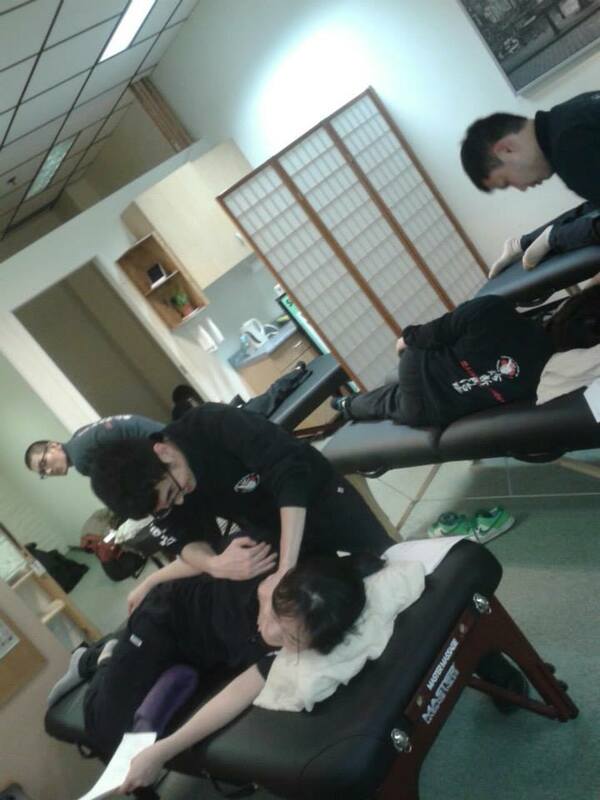 Then, we practiced to find the point of gate control especially focused on the same or conterminous level of dermatome, and we also practiced to find the best position for the client to give the pressure for specific muscles such as IT band, bicep femoris, iliopsoas muscle, etc. 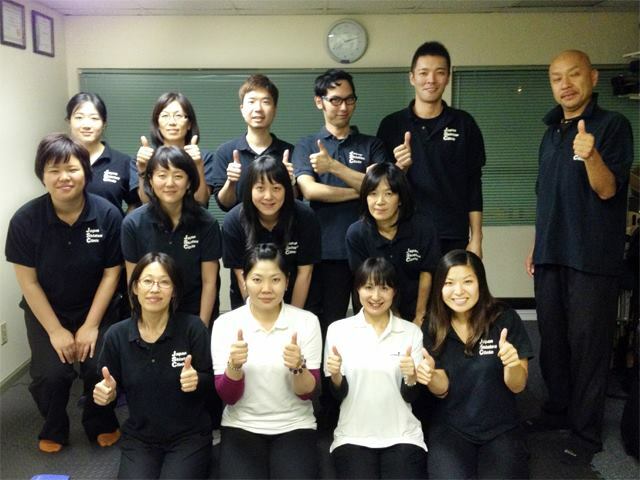 All therapists studied earnestly to assimilate the knowledge and the skill for their own Shiatsu treatment. During shiatsu treatment, patients often experience pain when pressure is applied to the area where their complaint originates. 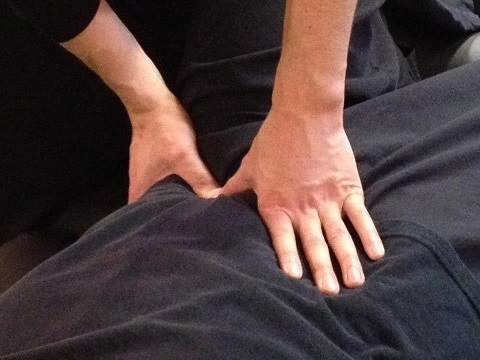 Proper regulation of pressure in such cases is said to depend on skill and experience, but it is possible, with the help of the four fingers, to effectively apply shiatsu to the area while causing little or no pain. This results in less physical and mental stress for the patient, making treatment more effective. 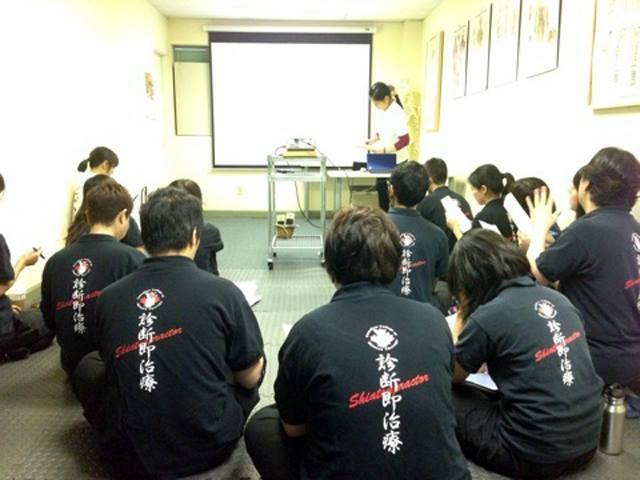 January 19th, 2014, Continuing Professional Eduation Program, Jikiden-kai was held at Japan Shiatsu Clinic in Metrotown. 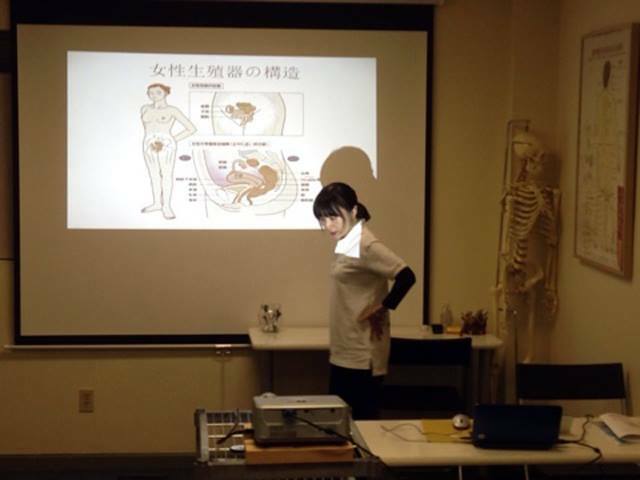 The main topic was “Difference of treatment plan or point of view from the length of pressure” and we planned to discuss about advantages/disadvantages or types of pressure, then exchange Shiatsu; however, we talked with “case-by-case” situation, things still remained as unclear. Each therapist perceived Shiatsu as their own style and all of them were right, Kiyoshi said, and we realized again that the pressure, which we felt as quick, was almost same as usual but lose the numbers of point and covered more wide area. We found something new even we pressed normally before when we focused on each types of pressure. 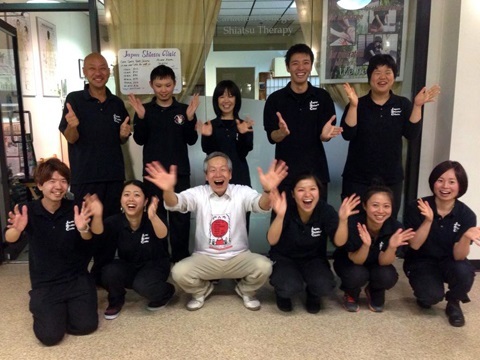 We would love to provide the Jikiden-kai as meaningful event for all therapists!